When I first became interested in the spiritual world I, like many of my generation, did not enter through Christianity but through meditation of a roughly Eastern sort. I say roughly Eastern because my meditation was not based on any particular practice but was a generalised emptying of the mind and sitting in silent awareness. In fact I started meditation by just staring out of the window. But I soon moved on to sitting cross legged, eyes closed, and trying to still thought. There was not much sense of God or anything other than to reach a higher state of consciousness. All pretty amateur and self-centred, I must confess. But despite this fairly hopeless method I did have certain experiences that seemed to indicate to me that there was something real to it all. Beginner's luck, I suppose. Eventually I honed my technique and learnt to meditate by stilling thought (or trying to, this was never easy for me) and attempting to focus my awareness in the heart which, spiritually speaking, is not the physical heart but a more central point in the chest. But still God was not invited to the party. I was young, only 22, and keen but very inexperienced and ignorant. My motive was mostly self-centred but there was also the sincere attempt to discover some kind of higher reality because I felt it must be there and that's what a person should do. So I did have a real sense that a human being was supposed to search for the highest truth that he could and not waste time in materialistic pursuits. My motive was a mixture of self-interest and genuine aspiration to something higher. Anyway, to cut a long story short, I learnt before too long that there was more to the spiritual path than just the attempt to enter into a state of passive bliss which was probably my initial goal. I used my periods of meditation to try to become more aware of God within and I began to appreciate that the spiritual path was not just about higher states of consciousness but the attempt to put oneself right with one's Maker. I went from simply trying to gain something for myself to trying to attune myself to the real. In a way that remains my aim. Nevertheless, despite my change of attitude, I continued to regard meditation as superior to prayer with the latter not really necessary because it was addressing a being out there while meditation was concerned with realising the truth within oneself and that was a more advanced thing. But I was brought up short when I was told in no uncertain terms by someone whose spiritual knowledge and experience far exceeded my own that I did not pray enough. He told me that meditation was necessary for me but I also needed the humbling experience of prayer. Did I think myself above it, he pointedly asked, adding that even the greatest saints prayed. This was a wake up call for me and ever since I have combined the two. Actually nowadays I sit in formal meditation relatively rarely but I begin and end each day with a spoken prayer and also try to align my thoughts to God throughout the day with little prayers. Prayer has various forms. There is the petitionary sort in which you might ask God for something, perhaps his help for yourself or others in difficult circumstances, or else just his grace. Then there is prayer as thanksgiving in which you express your gratitude to the Creator for his blessings and his bounty and his love or maybe just for the fact that he has given you life. But I tend to think of prayer above all as a way of remembering God. Let's face it, as we go about our daily business we often, even the most devout among us, forget God. Much as we might wish to we simply don't consciously live and move and have our being in him. We are frail creatures and we forget. Prayer is important as an act of remembering. It is a way of practicing the presence of God which in my opinion is the most important of spiritual exercises. Then there is the fact that, as I had been told, prayer is beneficial as a humbling experience. We are on our knees before our Maker, metaphorically as well as physically. We don't have to kneel physically in order to pray but that is a position which encourages an attitude of humility. We are humbling ourself before something greater than ourselves but doing so in a way that, unlike other postures of prayer, is not abasing oneself like a slave before its despotic overlord. Humility does not mean making yourself insignificant and worthless. God would not create a thing without worth, and if you think you are worthless then you must think everyone else is too. But it is recognising the fact that you are a created being and acknowledging your Creator appropriately. With humility there is the possibility, even likelihood, of love but with self-abasement fear is much more probable. If prayer involves addressing oneself to the transcendent God then meditation is more to do with the God within. Again there are various types of meditation but I would reduce them to those with and without form. Meditation with form might involve focusing on an image of deity, the figure of Christ being an obvious example, in the attempt to draw close to him and absorb something of his spiritual quality. It could also be contemplation of a symbol that has spiritual significance, say a lily for purity or pink rose for selfless love, but the sun as an image of the God within could also serve. These act as a focus to still wandering thoughts as well as attuning the meditator to an inner spiritual reality. The stilling of thought is one of the principal purposes of meditation. The constant movement of the mind should be arrested so that silence can be known and peace found. Such is meditation without form. However this is not in itself a spiritual thing and theoretically a non-believer can do it as well as a believer. That is why there needs to be the sense of dedication to a higher power in order to change a psychological act to a spiritual one. Motive is all important. It is not like a scientific experiment in which the intent of the experimenter is irrelevant. The intent is crucial to lift meditation to a higher plane. Otherwise it remains in the realm of therapy, effective on one level but unable to bring its practitioner closer to the true God. Prayer is remembering God. It is aimed at God Transcendent. Meditation is contemplation. It is directed to God Immanent. Christian meditation is contemplation of God or Christ with the idea of entering into the divine presence. It must be accompanied by an attitude of love and humility which is what I think marks it out from other forms though I realise practitioners of these other forms, of which I was one, would not necessarily agree. But I do feel there is a qualitative difference between theistic meditation and non-theistic kinds and, though the latter can bring many profound rewards and realisations, it is the former that takes one to a higher reality, one in which the meditator can arrive at a real relationship with God rather than remain resting in his own soul. Let us say that the active union of the soul with God in love is a greater thing than that of the soul simply resting at the deepest level of its own being. Prayer and meditation exist as spiritual practices in all religions and there are broad similarities between them even if they are not identical. In Christianity until recently meditation or contemplation was largely restricted to the monastery, that's to say those individuals who wished to develop a deeper relationship with God. For the layman prayer was generally enough and even then it was mostly the petitionary or thanksgiving sort. But while prayer enables us to speak to God and remember him as our Creator it is meditation on him or his qualities that can bring us into closer communion with him. For by silencing the worldly mind, whether through focus on a sacred image or otherwise, God's holy presence can begin to percolate into our conscious existence and transform us from a creature of this world to one who will one day be worthy to take his place in the kingdom of souls in heaven. You might say that prayer orientates our mind to God but proper contemplation invites him into our heart. I was born and brought up in London and lived there for the first 23 years of my life before leaving, vowing never to go back. However 21 years later I did go back and here I have been, living and working, ever since. The reason I left was that I had become aware of the spiritual path and London epitomised worldliness to me at that time. The people and the place, their goals and its atmosphere, were materialistic through and through or so it seemed to me in the light of my new approach to life. I spent the next 21 years leading what I suppose I have to term a contemplative life though that description does seem a little grand. But it was a quiet life largely centred around prayer and meditation and the attempt to lead an existence dedicated to the spiritual quest. I was a vegetarian and had no social life to speak of. I lived on not much and was without a proper job though I was not idle doing occasional part time work in museums and teaching English, depending on where I was. I read, wrote a bit, walked a lot, gardened when I had a garden and so on. But I allowed nothing to interfere with my main purpose. Sometimes I felt a little concerned that I should be doing more but when I asked my spiritual instructors about that was told that for now this was my task. As implied by that statement this period came to end and many years after I had left London I found myself back there again, living and, for the first time in a while, working full time. It was quite a change, I can tell you. If London had seemed worldly before now it was a veritable Babylon. It hardly even felt part of England, such had been the enormous demographic changes over the past couple of decades but the cultural and political changes had eaten away at it too. Babylon was presumably a city without a heart. London has surely become that now. Let me come to the point. Actually I have two points. Point one is that sometimes God puts us in a decidedly unspiritual environment either to test us or perhaps to see what we can put back, in however small a way it might be. Point two concerns London itself. In many ways I had been very attached to the city in the way that anyone is attached to where they are born and bred, but also because certain parts of it did seem rather magical to me when young. Most particularly some of the parks and gardens but there were also little areas full of character all over the city. These seemed far fewer to me on my return, partly no doubt because I was older but also because modernism and modernization had done their best to destroy much that was individual. 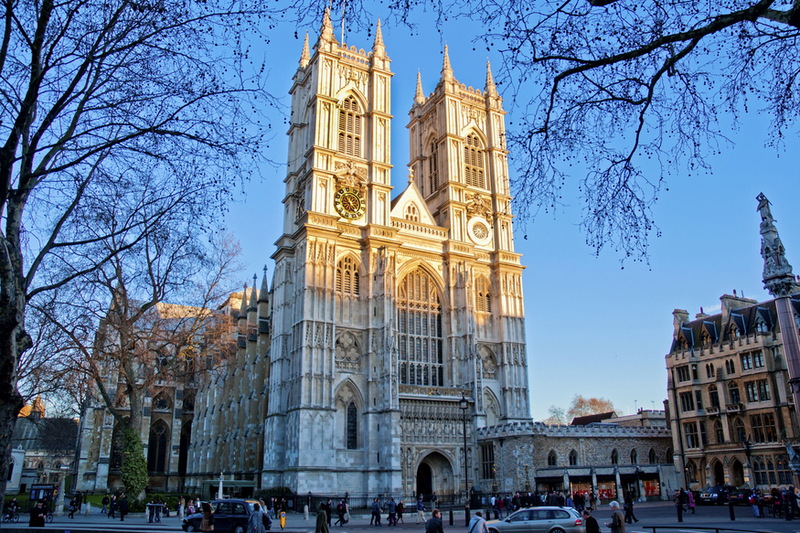 When I was at school I had the good fortune to attend a service at Westminster Abbey six days a week every morning for four years, getting there by walking through the East Cloister. For one year I even sat in the Choir, and probably the most terrifying moment of my life was when, aged about 13, I had to read a lesson to about 400 people from a lectern up by the High Altar. Inevitably as a schoolboy I took all this for granted but now, looking back, I am very grateful for the experience and feel that Westminster Abbey is the spiritual heart of London and has deep national significance. I have no idea what the future holds but one thing I do feel sure about is that both Britain and America stand for real freedom and it would be to humanity's great loss if that were allowed to be overwhelmed by a kind of internationalism that pretends freedom but is really about conforming to a bland secular uniformity in which control, though disguised, is everywhere. People are unaware of their positive values, explicitly those which hold Albion together - they are, indeed, unaware of what is Albion; of our bounds and content. These were made by past genius - and not by known work, but ultimately by the thinking of past genius; these discovered, remade, added to the soul of Albion. 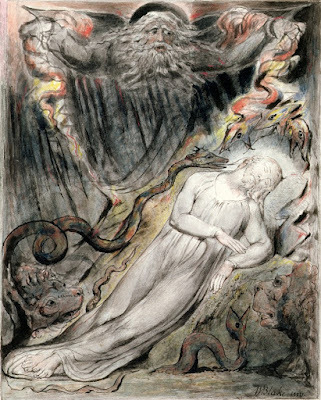 William Blake wrote poems, such as Jerusalem - which is widely known and sung; he painted and illustrated, composed lyric poems, aphorisms, and vast prophetic verses... 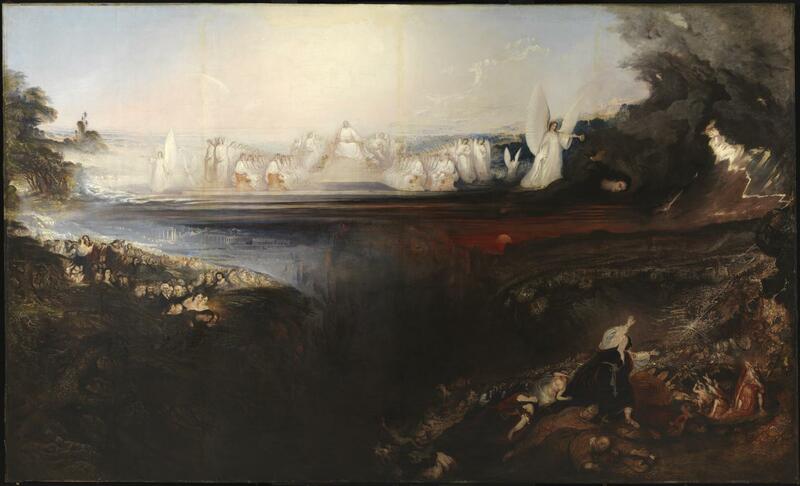 But Blake's true role in Albion was to remake the nation at so deep (or high) a level that it is beyond perception; and not fully-knowable as a communication. The principle act of Blake was his direct knowledge of reality, and then his shaping of reality... The reality of God's creation; that reality which can be known directly by you, or by me, or by anybody (now, or in the future). This is the imperishable legacy of Blake - and there were other as well as Blake (Langland, Chaucer, Shakespeare, Milton...). So Blake's poem Jerusalem (to take an example) is true - when it was conceived it became true because it was written-into creation; that is the nature of prophecy. For you and I to talk or write or read about creation involves us in indirectness, in symbolism, in 'communication'. But we can understand each other when both of us stand-before the poem Jerusalem as it is written into creation. Today, October 13th, is the feast of St. Edward the Confessor, King of England from 1042 to 1066. A 'confessor' is one who suffers for the faith but is not called upon to die for it. Edward is so-called to distinguish himself from St. Edward the Martyr, the boy king whose three year reign was brutally terminated by jealous nobles in 978. Edward was born around 1005 in Islip, Oxfordshire. His mother was Emma of Normandy and his father Edward the Martyr's infamous successor, Ethelred the Unready (978-1016). Ethelred was a weak and vacillating king. Under his disastrous stewardship, the country lay exposed to sustained and ferocious Viking attack and was eventually conquered by Canute the Dane in 1016. Edward and his mother took refuge in Normandy, remaining there until 1041 when invited to return by Hardicanute (1040-1042), Canute's son and last representative of the Danish conqueror's English dynasty. Edward became king in 1042 upon Hardicanute's premature death. He reigned for 24 years, a long time by Anglo Saxon standards. Opinion is divided as to the merits of his reign. Some historians view him as an astute, sharp-minded ruler, while others criticise the passivity and indecisiveness that created such confusion around the succession paving the way for the William the Conquerors's seizure of the crown nine months after Edward's death. Edward did little during the first half of his reign to endear himself to the English nobility. He surrounded himself with Norman advisers, excluding the powerful Anglo-Danish Earls from his inner circle. In 1051 a party of Norman visitors sparked a riot in Dover. Edward ordered Godwin, Earl of Wessex, to punish the English offenders. When Godwin refused, Edward sent him into exile along with his family. The following year Godwin returned at the head of an army. The Witan (the Anglo Saxon parliament) declined to support the king and Edward was forced to back down. His Norman advisers were sent home and Edward began to withdraw from public affairs, leaving the administration of the realm - including a series of wars against the Welsh - first to Godwin and then, after his death in 1053, to his son, Harold. He focused his energies instead on the construction of a great church in the heart of London. Dedicated to St. Peter, it became known as Westminster Abbey and stands today as Edward's lasting legacy to his kingdom. Edward, first and foremost, was a man of God. Religion was his passion and he may, in many respects, have found greater fulfilment as a monk than a king. His wife, Godwin's daughter, Edith, might have concurred. Edward had taken a vow of celibacy in his youth and this, extraordinarily, appears to have remained in place even after his marriage in 1045. He had a great reputation for holiness amongst the people, however, as illustrated in this legend. Edward, it is said, was riding one day to a chapel dedicated to St. John the Evangelist when a beggar asked for alms. Edward had no money with him so he took off his ring and gave it to the man instead. A few years later, in the summer of 1065, two English pilgrims were travelling through the Holy Land and became stranded. They were helped by an old man who told him he was St. John the Evangelist. He was carrying the ring Edward had given to the beggar some years previously. 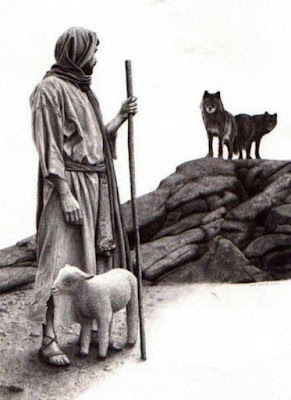 He asked the pilgrims to return it to the king, telling him that in six months time he would meet St. John in Heaven. Comes the king forth, I pray you? Shakespeare's perception, as always, is razor sharp here. It isn't so much what Edward did or didn't do as a political leader that counts, but the impression he made on the hearts and minds around him. Something in his person, some quality of his being, spoke to people on a deep and meaningful level, bringing a measure of healing and serenity to those he met. He exuded peace, and by his very presence made others feel close to God. The legends surrounding him grew, therefore, out of this innate spiritual radiance. Edward was canonised in 1161 and was considered one of England's patron saints until Edward III adopted St. George in 1351. Like ourselves, he lived and acted in challenging and uncertain times. In many ways, however, our situation feels more precipitous. Contemporary England no longer knows or enjoys the protecting, nurturing shelter of a shared faith. The idea of a common good, guaranteed by the monarch, in which everyone has a stake, is fast disappearing. English society is atomised and fragmented. People are losing faith - in God, in their country, in themselves. Politics and culture grow increasingly polarised, while all manner of instability - financial, emotional, intellectual - runs amok across the land. Let us turn to St. Edward then, today especially, that he may bless our country and pray for her inhabitants, ourselves - that our hurts may be healed, our hearts softened and our minds redirected towards that abiding Truth which animated him in his life and brought such solace and such an indelible sense of the holy to the men and women he encountered. This is the reorientation our fractured society cries out for - a restoration and restatement of what is eternal and real - the natural pattern, order and harmony of God's creation. 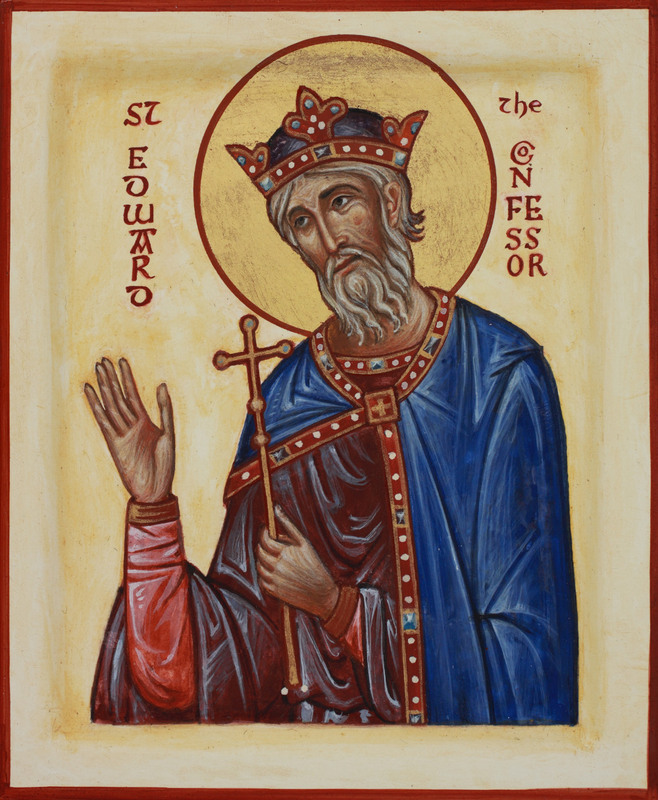 St. Edward the Confessor, pray for us. 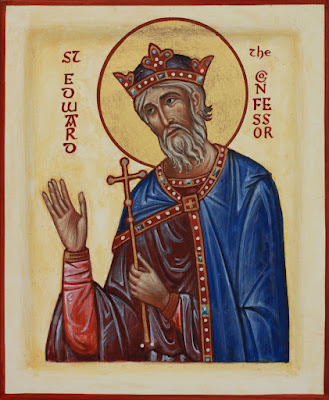 St. Edward the Confessor, pray for England. In a world that is already substantially totalitarian - in terms of the high level of thought-monitoring and thought-control - and where trends are towards more totalitarianism; it is necessary to be clear about the nature and purpose of freedom. Because freedom-from influence is merely what people mean by 'random' - while freedom-to do something refers to this-worldly and material factors, which are always and inevitably constrained. We need to be clear that freedom is freedom of thought; and freedom of thought means what it says - freedom in thinking (not in doing, which is never free). And freedom from influence is missing the point - because the point is Not to be free of any influence; but to understand where free thinking comes from: what is its origin? So, the real self can be imagined as a complex, coherent, autonomous entity with attributes such as character, motivations, inbuilt knowledge, instincts, a capacity for reason... and so forth. the self is what we find, by introspection , behind everything. The real self therefore has divine attributes - because this kind of entity is precisely what is meant by a personal deity: a god the origin of purposes. So, if this is freedom - then why is freedom good? Why is freedom a good for Christians, specifically? Because Christianity can only be chosen, and because obedience (law-following) is not enough: Christianity teaches that motivation for action is primary, which entails freedom. Why is totalitarianism bad? Because (by maximal monitoring and control) it tries to stop freedom of thinking, and thereby tries to stop people being Christian. As well as censoring, and filling the mind, and creating continual distractions; this ultimately aims to induce people to choose inversion of The Good. Inversion of Good is (mostly) reversal of what might be termed Natural Law - that is the universal, innate, spontaneous ideal morality of mankind (typically, this is asserted even by people who do evil things - they regard their own motivations as good). If we are reasonably clear as to the nature of freedom, and if we subscribe to a transcendental world view (that is, a world view extending beyond emotional gratification during mortal life), and if this view is Christian - then we can understand that totalitarianism is always and necessarily evil. There cannot be a Christian totalitarianism, therefore all totalitarianisms are anti-Christian (even/ especially when they falsely self-identify as Christian). This summer I did some travelling in England, keeping aware (as best I could) of the spiritual situation. My solid impression is that there remain considerable reservoirs of instinctive goodness; but there is near-zero consciousness of the nature of things. All explicit knowledge is secular, materialistic, and mostly Leftist. So there is, in Albion, a split between intellect (atheist, materialist, net-evil) and inarticulate gut-feelings (spontaneously pagan supplemented with memories of Christianity) which are the basis of Good. Lacking-which Albion cannot awaken because she cannot repent; and she cannot repent because she does not understand. She is asleep - drugged, anaesthetised, tranquillised - and in a nightmare; but lacks knowledge of her state, and lacks even the desire to awaken. So, what is to be done? I mean done now, by you and by me - not waiting on some national scheme; not waiting for some kind of organisation or institution. Given that The Problem is exactly that the modes of communication - mass media, official channels, public discourse, and increasingly even personal conversations - are all monitored, controlled, and hedged by threats and sanctions... this makes matters difficult. Consequently, there can be no general advice, no standard schemes or systems of how to awaken Albion. We must await the arrangements initiated by imperceptible divine spiritual beings - and ready for these when they do occur - which is only intermittently; windows of opportunity opening when circumstances have been shaped and put into place. Such alignments of circumstance are potential fruitful because there may be sufficient genuine communication to enable direct sharing of knowledge. We need to be in readiness for such moments - to develop habits conducive to recognising and living-in such moments - habits of discernment, intuitive awareness, honesty and so on. There is no formula for making best use of such moments - indeed, what is required is precisely the opposite of a formula. But we may trust that there will be such moments, and be ready for them.